Beat mistress TOKiMONSTA (Jennifer Lee) has always been the one to produce exotic instrumentals ranging from downtempo to experimental. This Los Angeles based producer has always won our hearts with her conceptual textures blended with hints of vintage effects while using a vast synth palette. 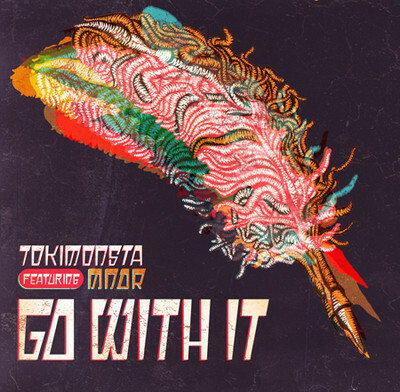 Her latest single, "Go With It", features the powerful pop vocals of MNDR. This particular piece is a bit off the usual trail for TOKiMONSTA, in respects to the vibes and mood. Typically, her work has an underlying dark tone. "Go With It" marks a change-up in her style, as she produces a lighter and more uplifting type of beat. Coupled with lyrics sung brilliantly by MNDR, it makes for a great atmospheric feeling with an overall warm feeling. You can find this track on TOKiMONSTA's upcoming album Half Shadows, which is due to drop on April 2 via Ultra Music.